Has the lock on your file cabinet jammed and won’t open, no matter how hard you try? Don’t try to pry it open – just call a professional locksmith for help instead. If you try to force it open, chances are you’ll damage it as well as the contents inside. Locksmiths have the tools necessary to get it open without damaging it or its contents in any way. If you’re located in Everett, MA, you can contact Town Center Locksmith Shop for immediate help with unlocking file cabinet. File cabinets are where we often store important documents, including business plans, contracts, employee details, papers, and the like. It can cause you a lot of stress and undue tension if the lock on the cabinet breaks, especially if you urgently need to documents inside. Town Center Locksmith Shop’s unlocking file cabinet service is designed exactly for scenarios like that. Our expert locksmiths can unlock the lock with the help of advanced tools or, if that doesn’t work, force it open without damaging the contents inside the cabinet. 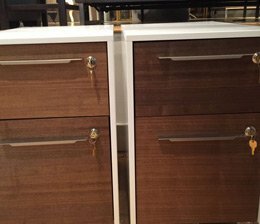 We can also replace or repair the lock so that your cabinet works as good as new. If you attempt to pry open your file cabinet yourself, you could end up damaging your possessions. • Cam-type Lock: Cam-type locks have a rotating bar mechanism. They are easy to work on and replace, with the right tools. • Plunger-type Lock: Plunger type locks snap in place when pushed and require keys to open. We can fix these locks as well as extract a broken key from it. • High-tech Locks: Keypad locks, electromagnetic locks and the like are difficult to get open without advanced equipment. • Combination locks: We can also open combination locks that you’ve forgotten the combination to. 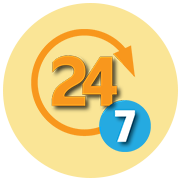 We are available 24 hours a day for help with unlocking your file cabinet. If your cabinet lock happens to jam when you’re working late, don’t think twice before calling us. You can contact us on 617-580-9101.